The best way to describe this vibrant array of flowers is that it brings nature to life! 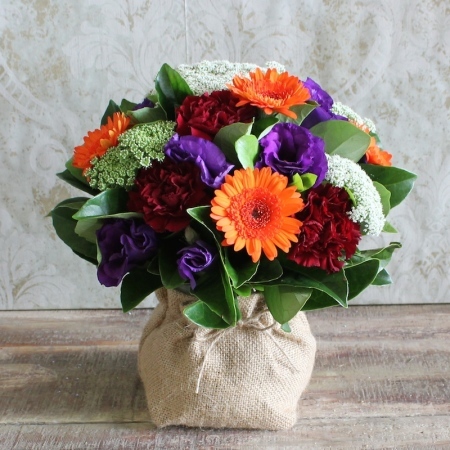 Created with a mix of bold orange,purple,burgundy and green blooms, this posy is complimented with a recycled vase with a natural hessian wrap. The perfect gift for those among us who are environmentially conscious. Order by 2:00pm and recieve same day delivery Sydney wide.